YouTubePlayer.PlayerStyle.DEFAULT – The default style, showing all interactive player controls. YouTubePlayer.PlayerStyle.MINIMAL – The minimal style displays only a time bar and play/pause controls. YouTubePlayer.PlayerStyle.CHROMELESS – A style that shows no interactive player controls. When you use CHROMELESS, you need to write your own controls for play, pause or seek operation. You can apply style to YouTubePlayer by calling setPlayerStyle(PlayerStyle style) method. 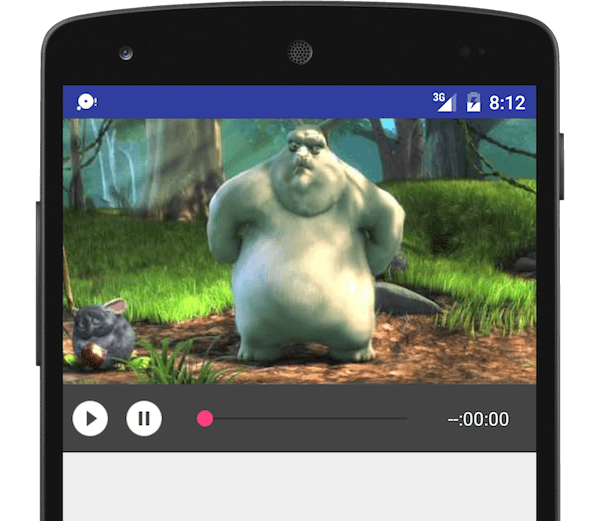 In our previous example, we saw How to use YouTube Android Player API and YouTubePlayerView. In this example, we will customize the YouTubePlayer with custom player controls. Let us first add the YouTubePlayerView view in your activity or fragment view hierarchy. Let us now add the player controls right below YouTubePlayerView in activity_custom_player.xml layout. INTERNET permission is required to play video over internet. Add the following permission in your application AndroidManifest.xml file. When using YouTubePlayerView, your activity needs to extend YouTubeBaseActivity. Now let us create an Activity that extends YouTubeBaseActivity and initialize the YouTubePlayerView. We will add our own Play, Pause and Seek playback control. Thank you very much for the solution. I have been trying to integrate this in my app. I’m very new in this field. Can you please suggest how could I integrate it with simple listview/ recycler view options? I can show you the source code. How can I set default resolution 4K or HD? Is your network stable? Please check your device connection settings or test with a different video id. The problem is only layout, the youtube player not permit anyone view stay over this, same invisible or transparent. You can update the seeker progress by calling setProgress() inside by inside onProgressChanged() method. i want to know how to do either. I put seekBar.setProgress(progress); inside onProgressChanged() but do not work. I did what u said. but is not work for me. mSeekBar.setProgress(progress); in onProgressChanged() doesn’t work.